As the mainstream media excitedly reports on truckie “owner drivers” rallying in Canberra for lower rates, managing editor Dave Donovan uncovers the sham organisations calling for the RSRT's abolition. IN my article last week on the Road Safety Remuneration Tribunal (RSRT), I wrote that I doubted that the people most actively opposed to these measures were owner drivers, but rather big business, which primarily benefits from lower freight costs. Subsequent investigations have shown that not only do big business benefit, but that they are also prepared to engage in deceptive and underhanded practices, including through sham front organisations, to win the battle over the RSRT. And after seeing Malcolm Turnbull stand in front of so-called “owner drivers” rally in Canberra yesterday, which was asking counter-intuitively for the right to receive lower rates of pay, it is important to ask: who is really benefiting from paying owner drivers less? Firstly, the argument that the chief beneficiaries of the new RSRT order, which serves to provide minimum hourly rates of pay for owner drivers, will be the major freight companies after bankrupting ‘35,000 owner drivers’ simply defies logic and logistics. If there are 10,000 loads sitting on the floor of transport networks and hubs today, those 10,000 loads have to move. And the spare capacity in the major transport companies isn't there to move them loads without the owner-drivers. So my question would be to the owner-drivers who think that they will be put out of work: where do they think 35,000 trucks and drivers are going to appear from overnight to take up that workload? They won't. This is a scare campaign aimed solely at stopping them from getting a rate increase that they have so long deserved to get. The idea big freight companies benefit from the RSRT at the expense of owner drivers further defies credulity when we note the parties who fought to stay the RSRT order from coming into effect in the High Court earlier this month: the Australian Industry Group, the Australian Chamber of Commerce and Industry, and huge freight companies Linfox and Toll Transport. Owner of Linfox, Lindsay Fox, is also a major donor to the Liberal Party and has strong influence in conservative circles. … being piloted by Independent Contractors Australia, with its executive ­director Ken Phillips warning that a controversial tribunal order setting new minimum rates of pay for owner drivers is unconstitutional. So, the challenge is being funded by two big business lobby groups and the nation’s biggest freight companies, and yet “piloted” by another body, ostensibly representing micro-businesses — “independent contractors”. So what is going on here? In short, Independent Contractors Australia (ICA) is a sham organisation representing the interests of big business, not independent contractors or owner drivers. Independent Contractors of Australia (ICA) (also known as the Independent Contractors Association) is a front group for the Australian labour hire and recruiting industry, and employer groups. It campaigns to strip protections from contractors, often representing those campaigns as the opposite of their true purpose. Bob Day was also a long-time secretary for the anti-worker HR Nicholls Society. He is now a “crossbench” senator for Family First and has, lately, been vocally advocating for the abolition of the RSRT. Ken Phillips has also been appearing constantly in the media to lobby against fair rates for truckies. 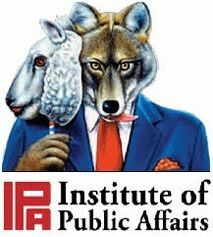 Phillips is currently listed as a “research fellow” on the IPA website. He was formerly described on the IPA website as a “lobbyist” who also consulted for big business and government. … one of the strongest influences behind the Howard Government's Independent Contractors Act, which [sought to] remove the protections currently enjoyed by independent contractors, including access to superannuation, workers compensation and some legal recourse when treated unfairly. Phillips argues instead that all workers, including contractors, should be "free" of such protections when negotiating with employers. The ICA's website is also designed and hosted by Chris Ulyatt, former Editorial Director of the Institute of Public Affairs. In an article in the Daily Telegraph on May 23, 2006, Australian Labor Party MP Tony Burke noted that "the Independent Contractors Association . . . are heavily linked to the Institute of Public Affairs". According to Ken Phillips’ own testimony to the Australian Senate, the organisation has only a couple of hundred members — or less than 0.1 per cent of approximately two million Australian independent contractors. Another group prominent in lobbying against safe rates of pay for owner-drivers is the so-called “Owner Drivers Association”. This body is also a self-confessed front group for the ICA. The organisation was initially staffed by an IPA employee, Don D’Cruz, and its website developed and hosted, again, by the IPA’s Chris Ulyatt. The ODA calls itself a “division” of ICA on its website and lists its spokesperson as ICA executive director Ken Phillips. Has Phillips ever driven a truck? It seems unlikely. So, here we have the ODA, which is a front for the ICA, which is a front for the IPA, which is itself a front for big business. A front for a front for a front. Or, more succintly, an affront. Of course, it’s not just the IPA/ICA/ODA that’s been lobbying against safe rates of pay for owner drivers. Also prominent in the media, opposed to the RSRT, has been the Australian Trucking Association (ATA), the peak body for the trucking industry. Yet a consideration of the voting members of the ATA shows it also to be skewed toward corporate entities and big fleets, with just one owner driver representative. So much for the ATA supporting mums and dads on the skids. So why are big freight companies so desperate to keep owner drivers' rates low? According to IA's sources, it is because when big freight companies pitch for business and win it, which they usually do, they keep the profitable parts and usually outsource the rest to owner drivers. By owner drivers being prepared to accept subsistence rates, the big freight companies are therefore able to make even bigger profits — by putting dangerously underpaid, overworked and potentially drug abusing owner drivers in big rigs out onto our roads. In the view of this publication, if there is a problem with this RSRT order, it should be tweaked to make it fairer for all concerned. But getting rid of the entire tribunal, as the Government seeks to do this week, would simply be a victory for the IPA scammer and its big business backers — one that puts your lives and the lives of your family at risk, as well, of course, as truck drivers themselves. According to owner driver Ray Childs, who operates in NSW, where a minimum rate has already applied for 30 years, minimum rates of pay for owner drivers have improved the industry greatly. Minimum rates need to apply nationally to lift standards and ensure people can pay themselves a wage and pay their overheads. Otherwise you get a race to the bottom and safety is sacrificed.